Home Blog General Can Dogs Eat Grapes? Fruit and vegetables are a healthy part of any dog’s diet, but there are certain ones that can actually be toxic to dogs. You may have never thought to ask yourself, can dogs eat grapes? Unfortunately, no, dogs cannot eat grapes. Grapes and raisins have a high toxicity that’s harmful to dogs. Keep them out of reach of your pet and make sure others know that it’s not a treat that’s canine-friendly. Although larger breeds of dogs may be better able to metabolize an accidentally eaten grape, it’s still best to prevent your dog from ingesting them all together, no matter what size of dog you have. 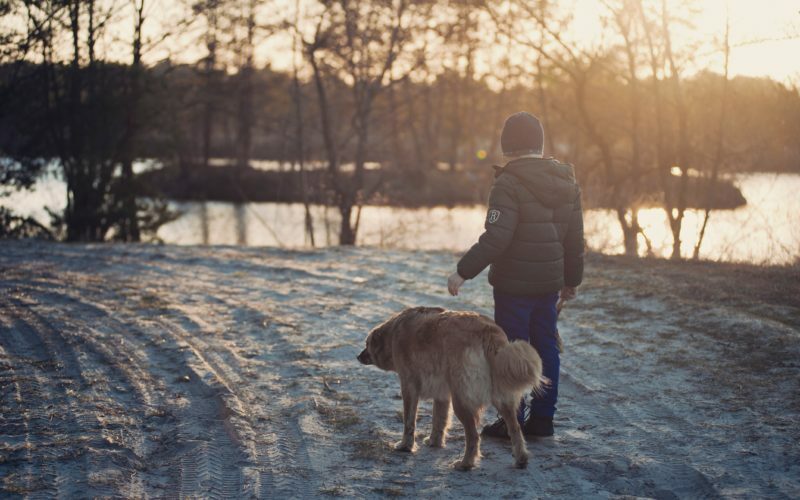 Poisoning in dogs can result in immediate side effects including vomiting and diarrhea, abdominal pain, body weakness, and ultimately, kidney or renal failure. It’s important to know which foods should be restricted from your dog’s diet. As you create a meal plan for your pet, consult with your veterinarian about what types of foods to include and which need to be left out. Sometimes it’s the smallest thing that can have the greatest impact. If your dog has gobbled up a grape, try to induce vomiting before the toxins can be fully absorbed into the system. However, if your dog is already experiencing trouble breathing or has already vomited, call your emergency veterinarian to receive the next steps in medical care. Depending on the symptoms your dog is presenting, the number of grapes your dog has consumed, and your pet’s overall health, your veterinarian may immediately advise you to bring your dog into the clinic. In cases where vomiting alone works, you may need to closely monitor your pet’s health until you’re able to take him for a regular appointment. When in doubt, take him to urgent care as soon as possible. Taking your pet in to be assessed will allow the veterinarian to run tests and observe his symptoms firsthand. One of the key symptoms to monitor is if your pet is able to urinate without difficulty. Since grape toxicity affects the kidneys, it’s important your dog is able to urinate regularly. The serious nature of this fruit, when consumed by canines, makes it essential for you to keep grapes out of reach in any environment your dog is in. This includes when you’re in the company of small children who may not be as aware of the effects grapes can have on dogs. It also includes letting those who care for your dog know which treats are acceptable and off limits for your pet. The seemingly harmless fruit can have highly negative and, in some cases, fatal results for your dog. What Snacks Can I Feed My Dog? Although certain fruits like grapes are not allowed as healthful snacks for pets, there is still a range of wholesome foods that don’t contain toxins and can provide your dog with good nutrition. These include apples, bananas, blueberries, and strawberries to name a few. Plant-based or hemp-based snacks with organic ingredients also get the pass for your pet. There may also be different dietary restrictions your dog may have depending on his breed, size, and general health. Additionally, with puppies, there may be certain foods that may be off limits until they’ve had a chance to develop and strengthen their immune system. Be mindful of what you feed your pet the same way as you would check the ingredient list of what you’d eat yourself. When unsure about a certain food, double check that it doesn’t have any toxic results for your pet. Many times, negative side effects will occur immediately. 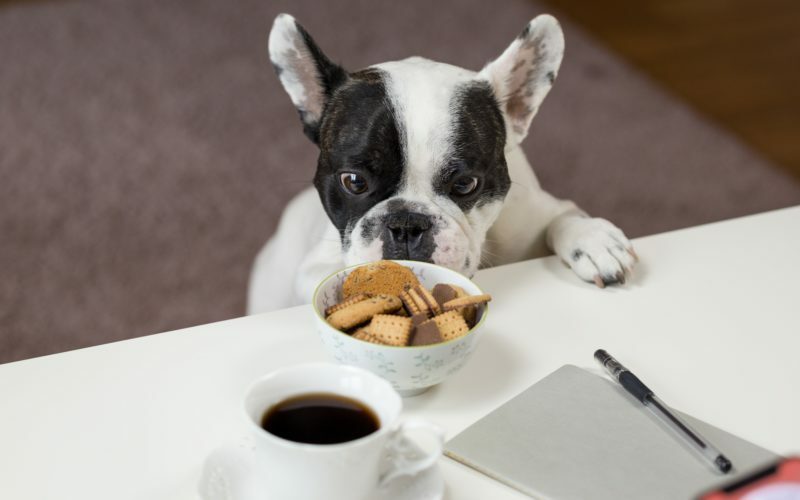 Keep an eye on any changes in your dog’s behavior if giving him a new food or snack to try. Many would like to believe that dogs can and will eat anything, but they have health restrictions the same as humans do. While it may be easy to want to feed your dog leftovers or table scraps, it’s best to stick to a scheduled diet so he receives the nutrition he needs to be and feel healthy.